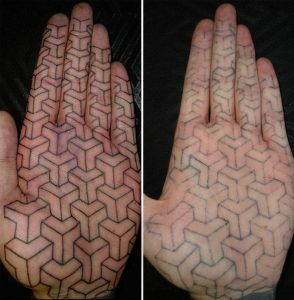 The realities on tattooing certain body parts. 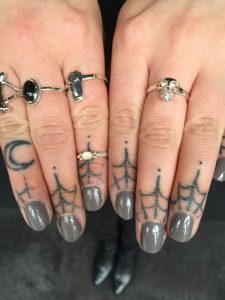 Do tattoos on fingers last? 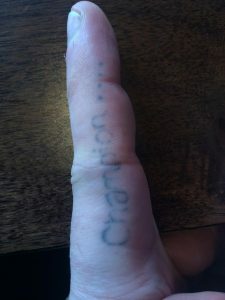 The realities on tattooing certain body parts, or, do tattoos on fingers last? 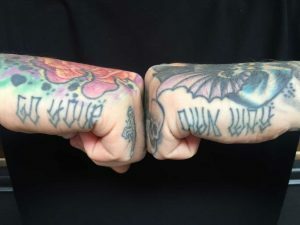 Tattoos on fingers (inside and outside), knuckles, palms and even soles of feet are more popular than ever. Some of this is definitely down to Instagram and the tendency it has to popularise the shocking, the new or the different. This is compounded by most of the tattoos on there being fresh, and often tattooists are at best naive and at worst dishonest, about what will actually heal well. We covered this topic in more depth in our previous blog “The realities of tattoos on Instagram”. 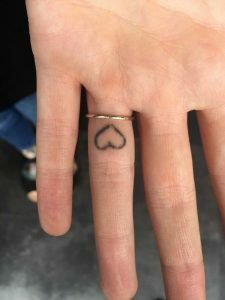 Maybe you are considering a tattoo on the palm, side of hand, inner finger, or wherever; or maybe you are annoyed because a tattooists refused to do that tattoo you wanted and think they are either not talented enough or arrogant? Or maybe you just would like some info about finger tattoos, side of hand tattoos or whatever the latest celebrity craze is? If so, read on. Tattoos exist because of a biological quirk that holds the ink in the skin after it has healed. Now, not all skin is the same and quite simply, some is much better and more suited to holding a tattoo than others. From a technical point of view, the main faults you see with tattoos are either that the ink “blows out” and spreads, or “drops out” and just doesn’t heal in there. 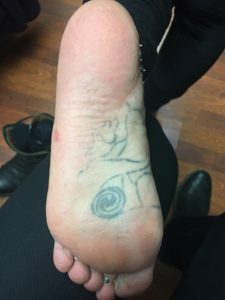 Some skin, in particular on the palm, inner finger and sole of the foot, is probably the worst and least suited skin on the body to get a tattoo It can both drop out or blow out very easily, with barely any margin for error. Can it be done? Yes. 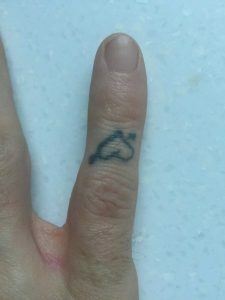 Will that inner finger tattoo heal well? Maybe, but maybe not. The expectation of the public. 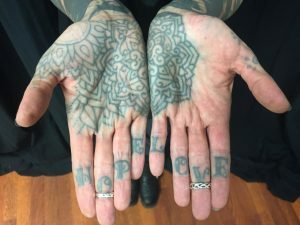 A lot of heavily tattooed people end up with palm tattoos, inner finger tattoos etc, but they are often not all that precious about it being perfect and they understand the realities of how tattoos heal. 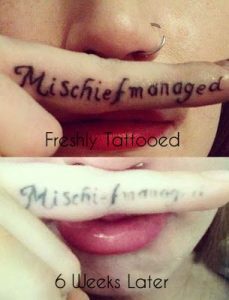 If someone comes in for their first tattoo, and they want a little bit of lettering down the inside of the finger, what freshly done photos on Instagram have led them to expect, could be very very different to the reality and they could be very disappointed. Thirdly, all tattoos spread and change over time. As your skin changes, loses elasticity and ages, your tattoo will soften and spread. 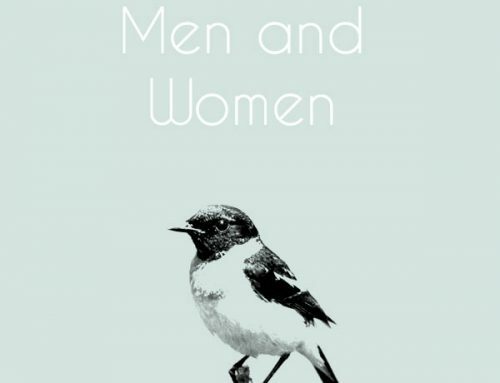 A good design will account for this, but tiny little letters or really close lines are not a good idea. 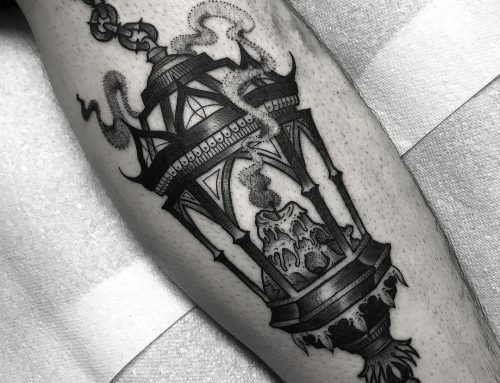 Following are some different tattoos, some that the crew here at Modern Body Art have collected over the years and some taken from the internet, which cover some of the things we’ve discussed above. Fran’s fingers have been tattooed twice, most of it has stayed in, but there are some areas that definitely haven’t. 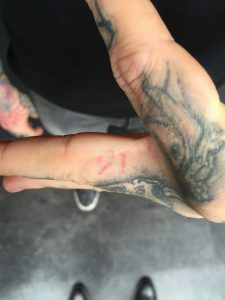 Gee’s finger has been tattooed 3 times. As you can see it’s still pretty patchy. 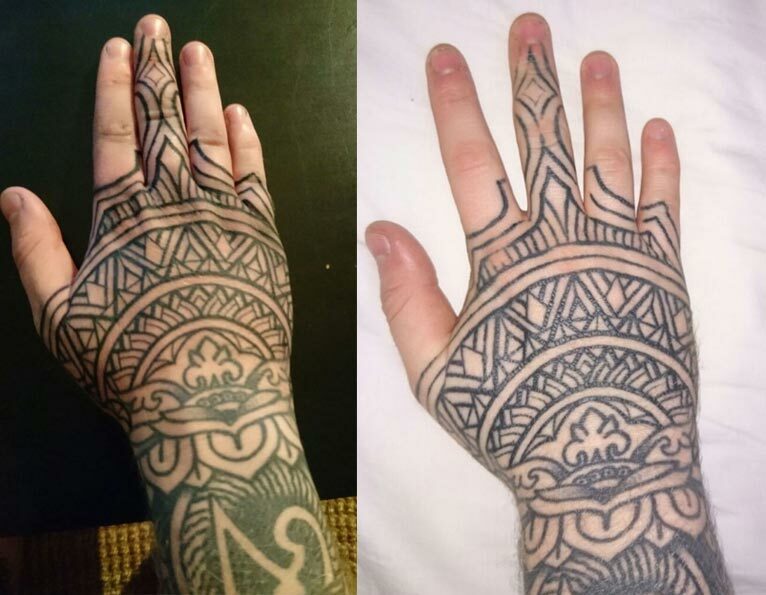 Chris got lucky with the side of his hands and has only had these tattooed once. The same can’t be said for Chris’s inner finger. The tattoo has pretty much disappeared. 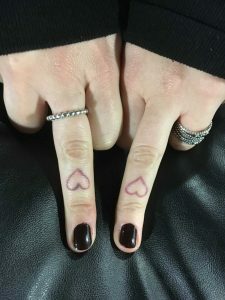 Another case of finger tattoos being hit and miss. This one on Chris has healed pretty solid. Greg’s finger has significantly faded and you can only just make out what it says. 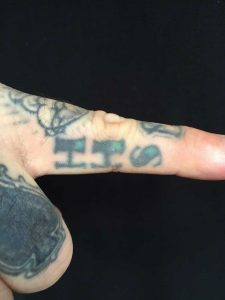 Rosie’s fingers have been tattooed twice. Again, you can see some inconsistency in the linework. The ink on the left side of Matt’s heart has blown out and spread. Here are some photos from another excellent blog on this subject. Whilst we’re not saying you shouldn’t get tattoos in these areas, we would advise taking into consideration how they heal. At Modern Body Art, we don’t want to see anyone disappointed with their new tattoo so hopefully this blog can help. We opened in Birmingham in 1999, so we have more combined years of experience in tattooing than we care to add up and we hope we can use that experience to good use, so if we are advising that getting tattooed somewhere isn’t a good idea we are genuinely only trying to help.